One of the first thing that comes to mind when you mention Brunei Darussalam is that it is a very rich country in Southeast Asia. It may seem like it occupies a very small place in Borneo island, but Brunei is packed with activities. Whether you are travelling from the capital city of Bandar Seri Begawan (BSB) or neighbouring city of Miri in Sarawak, you can count on PHLS Express to get you there safely. You can book your bus ticket with PHLS Express conveniently at Easybook anytime you want by following this simple booking guide we have prepared for you. Continue reading to find out about the routes provided by this operator and what you can things you can do at both Bandar Seri Begawan (BSB) in Brunei or Miri, Sarawak. Travelling between Miri, Sarawak and Brunei Darussalam has proven to be very convenient now with bus operator PHLS Express to provide you with the best transportation. Having been in the express bus industry since 2008, PHLS Express is a well-managed company in the two countries. Below are the routes that you can find for PHLS Express on Easybook. Make sure you refer to our website in your search page for the actual bus schedule. 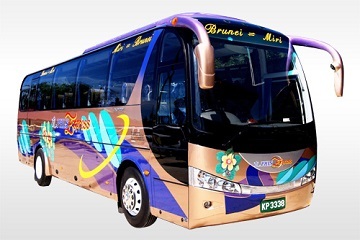 You will find more trips in a day provided by PHLS Express from Miri to Brunei bus schedule, as compared to the return route. Find out the bus schedule for Miri to Brunei that suits your itinerary best on Easybook whether it is for work or pleasure. 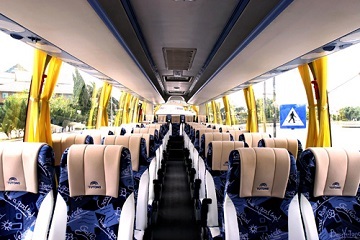 The buses for PHLS Express are equipped with air conditioning, comfortable reclining seats and there is also a TV to serve as on board entertainment. You will find both 30 and 44 seaters on the single deck on the buses by this Brunei company. With professional and well-trained drivers with the company, you are assured of the best and safest journeys when travelling with PHLS Express. Trust PHLS Express to allow you to enjoy an easy-going trip to your destination with the decade-long service they have been providing for travellers between Brunei and Sarawak. If you are planning to go to Miri in Sarawak, here are a few suggestions for you to embark on. Be close to nature by visiting some of the best-looking parks in the country such as Gunung Mulu National Park, Lambir Hills National Park or Niah National Park. The Gunung Mulu National Park is perfect to see what the nature has to offer from the Deer Cave that is filled with bats to the hidden valley to The Pinnacles at Gunung Api which is absolutely amazing. Check out Lambir Hills National Park that is known as the most ecologically diverse areas with approximately 1,200 kinds of insects and over 1,000 types of trees. If you are looking for jungle walk or experience the cave and how it is like to live in Iban longhouses, you will be able to witness them at Niah National Park. For those of you who are travelling out or into the city of Bandar Seri Begawan (BSB) in Brunei, you are in for an educational visit as there are plenty of museums for you to visit. Learn more about this exciting nation at Royal Regalia Museum to check out the royal life, the Malay Technology Museum to see the traditional water villages, or the Islamic art at the national museum simply called the Brunei Museum. There are various parks and beautiful mosques that you will see surrounding you. Whether you are going to amusement site of Jerudong Park with your entire family or explore Ulu Temburong National Park with your friends, PHLS Express is ready to kick start that journey for you. The list can go on and on when you choose to travel with the experienced express bus operator PHLS Express. Once you have decided when and where you want to go to Bandar Seri Begawan (BSB), Brunei or Miri, Sarawak, tell us your preferred bus schedule that you will see on Easybook website. Follow these simple steps on our How To Book page and you will receive your booking confirmation e-mail within minutes. Say goodbye to leaving the comfort of your home just to go through the trouble of queuing up for a bus ticket at the counter. Let Easybook make your life even less complicated when you download our mobile app that is available for free to your devices, so we are literally at the palm of your hand. No. 115, Kg. Sabun, Jalan Muara, Muara BT 2128, Negara Brunei Darussalam.